Tame Impala are a four piece psychedelic/indie rock band out of Perth, Australia. 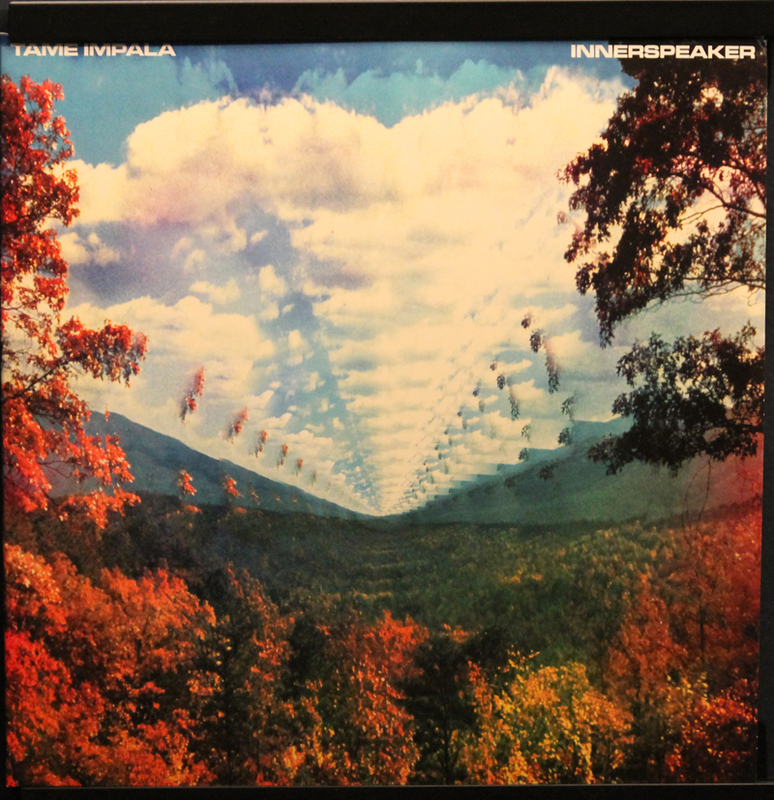 I say band, but in reality, at least up until Innerspeaker, Tame Impala was essentially a project of Kevin Parker, a multi-instrumentalist and the writer/performer for the band when in studio. Tame Impala are better described as part of a collective: Dominic Simper, Jay Watson, and Nick Allbrook are friends of Parker’s, and fulfill the role of live touring band for Tame Impala. Furthering the collective atmosphere, Parker actually plays touring drums in Pond, a project put together by Watson and Allbrook. I’ve always had a soft spot for psychedelic rock. 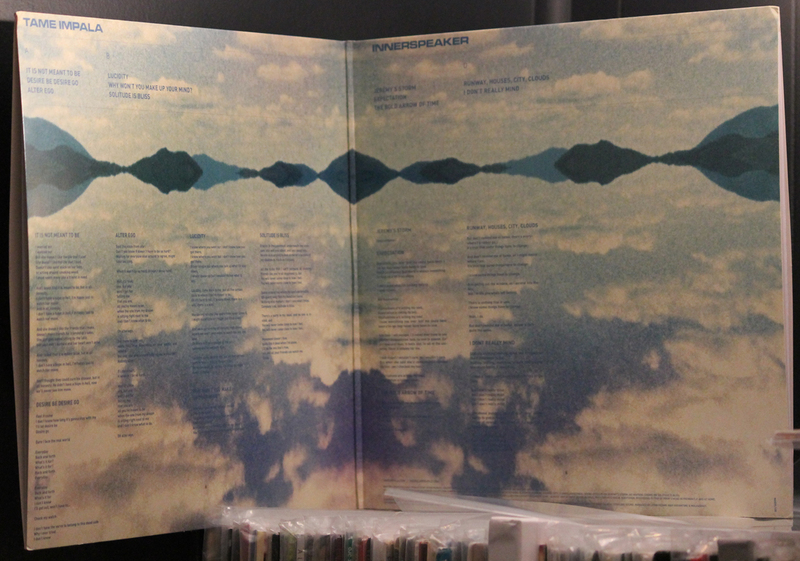 With that in mind, Innerspeaker is an album that I’ve had on a list of “must buy” albums since 2010. One of the best albums of that year, in my humble opinion, Tame Impala’s debut was produced and is pressed in Australia, and it seemed like every vendor I tried to acquire this album from was out of stock and had no idea when the backordered album would arrive if an order was placed (I guess it’s a bit of a challenge to get represses from halfway around the globe). At any rate, I finally bit the bullet and placed the order through Insound in January, and it was shipped from their facilities a month later. Not too bad. Innerspeaker opens with a blast of fuzz, out of which emerges the psychedelic bass and guitar tones that permeate this album. Recording these tracks, Parker channels Sgt. Pepper’s era Beatles, making Innerspeaker a sort of intersection between indie rock and the summer of love. The fuzzed out guitar and bass, the spaced-out synths, and the slightly echo-y vocals that are low in the mix soften the indie/garage sensibilities of Parker and give the record an expansive sound. High points on this record include opener It Wasn’t Meant To Be, a song about a man who desires a woman who is his complete opposite (they have different tastes: “And she doesn’t like the friends that I make, doesn’t make friends for friendship’s sake. She just gets bored sitting by the lake…”), and rock-out session Runway Houses City Clouds, the spacey, ethereal vocal line winding amongst driving guitar lines. That said, the record has no real low points: Parker chugs along at full speed, filling the album with catchy psychedelia where each song is as good as the last. The physical product is gorgeous and was worth the wait. 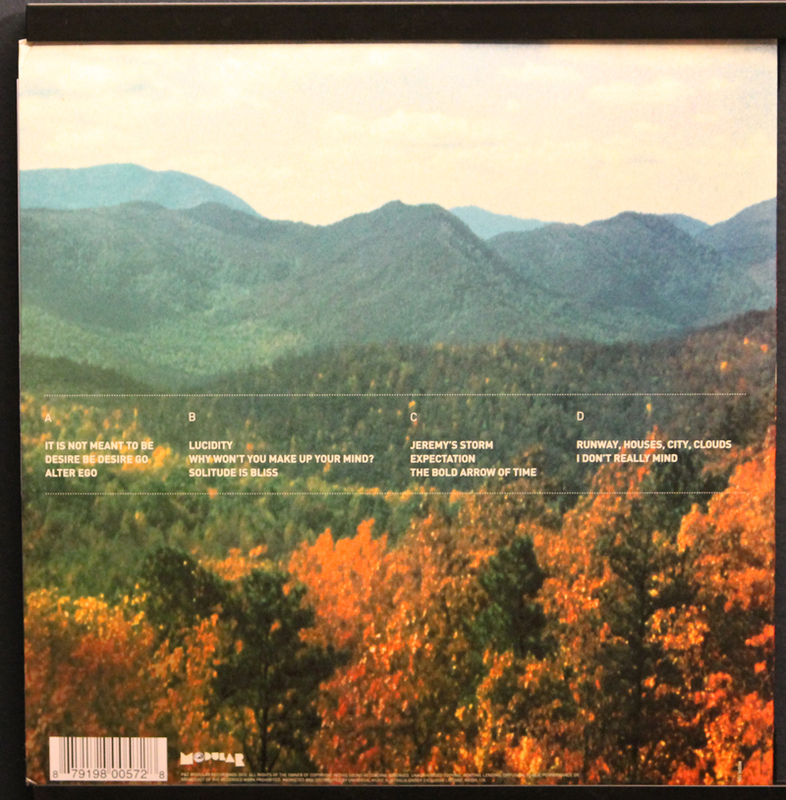 The art reflects the psychedelic nature of the music, bright greens and reds of nature in the fall in distorted, repeated images on the front cover, another beautiful shot of the fall leaves on the back, and the reflections on a perfectly calm pond inside the beautiful gatefold cover. The 180 g vinyl sounds amazing, the warmth of the vinyl bringing out the warmth of the music. Comes with a download code for the mp3s if that’s your thing, and in fact, when I ordered from Insound, I got an instant download of the album, which rocks. Go out and get this modern psychedelic masterwork. It’s available directly from Modular Recordings, but if ordering from Australia isn’t your best option, you can find it from your favorite vinyl vendor!